Genealogical records of Ukraine citizens date back to the 1600s. We have genealogists who research on location in Ukraine. They will find and analyze the best records available to further your family history research. Most of the archive collections in Ukraine are centrally controlled by the State Archival Service of Ukraine, which administers about 700 archival institutions. There are no photographs of indexes or other record images available online, so our genealogists on the ground can help you find certain records. The State Archives in the Autonomous Republic of Crimea have decrees and orders from Catherine II, and correspondence about diplomatic relations with the Crimea and Turkey. They also have earlier documents that date back to the 11th century which include land debates and records written to and from nobles. The archive also contains documents that focus on the Communist Party of Ukraine and the deportations that took place in Crimea; specifically the Crimean Tatars, Bulgarians, Armenians and Greeks. The State Archives of Dnipropetrovsk Region include records from the Soviet Union and World War II. The Archives also hold personal collections of records from citizens concerning economic, cultural, social and political life of Dnipropetrovsk region (1923-1998). These include records regarding the Famine of 1932-1933 in Ukraine and documents concerning wealthy peasants and their families who were facing deportations from Dnipropetrovsk Region. The State Archives also have more recent memories of those involved in the Afghanistan War (1979-1989). They also contain information on church building records and descriptions of the different church properties that were developed in the province. The State Archives of Donetsk contain several records on population migration as well as city court and council records that showcase the development of the region. Additionally, they have preserved information on the Nazi occupation in these archives as well. The State Archives of Kirovograd own documents that describe the settlements that were formed around Saint Yelyzaveta as well as other military settlements. The State Archives of Kyiv have documents from the 1600’s to 2010 that focus on the Kyiv Province which discuss territorial changes and the social structure of the population. Especially interesting are nearly 20 documents that focus on Ukraine’s struggle for independence. The State Archives of Luhansk contains information about the settlements of Starobelsk, Bakhmetovka and Slovjanoserbsk, which developed in the area from 1813-1915. The archives hold records focusing on the Ukraine revolution from 1917-1920, including data about the specific land owners involved. There are also records about the Nazi occupation and information on the crimes perpetrated by the invaders. The State Archives of Mykolaiv hold records that date back to 1787 and are unique because they detail the development of Mykolaiv as a shipbuilding center in southern Ukraine. The archives also contain data on the Crimean War (1853-1856), specifically the involvement of Mykolaiv citizens in events including the Siege of Sebastopol. The State Archives of Odesa contain records of the Odesa City Council and Odesa City Administration which list individual merchants, passports, records of guilds, resident permits, and lots obtained for houses. The State Archives of Rivne have a major focus on documents from the period of the Russian Empire (1796-1917). There are articles from several of the major cities that focus on the different councils and courts in the region as well as documents that focus on the community of serfs that lived there. The archives also own articles that originally belonged to F. Stengel, the founder of the first regional museum in Rivne. The State Archives of Transcarpathian have information on World War I and the Russian occupation of the territory. There are also documents that detail the formation of political parties and unions. The Vinnytsia Region was a part of German occupied zones during World War II. The archives there have kept information about the German forces that occupied the area during that time period and also records of the Ukrainian Insurgent Army (UPA) brigades and their struggles against the Nazis. There are also lists of the prisoners kept in ghettos and prisoner of war camps. The Volyn Region Archives have a collection of economic and academic Soviet Union institutions. The archives have also preserved personal documents which concern the lives of notable citizens in the region, including scientists, teachers, writers, journalists, artists, and industrial and agricultural workers. The State Archives of Zaporizhzhya store documents that date back to the Russian Empire. These documents contain information about village life in that time period. The archives also have rare documents that focus on people specifically from Zaporizhzhya such as scientists and other cultural giants. The State Archives of Zhytomyr have records that stretch from 1795 to 2011. The school records located here include Jewish colleges. There is also a collection of records from Catholic churches and monasteries from the 18th century to the 19th century. There are many more provinces with their own record collections that our Ukrainian researchers can study. Each province collection holds their own slice of history to discover. There has been a strong Jewish population in Ukraine since the 9th century. 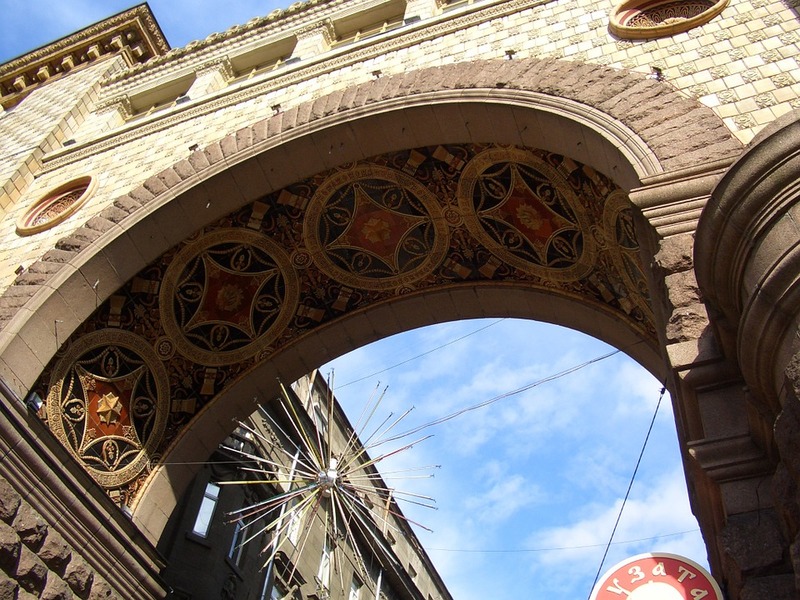 The Central State Historical Archives of Ukraine in Lviv contain several collections pertaining to the Jewish people. Specifically they have records of the population that lived in the now non-existent kingdom of Galicia. The records consist of 420 books of Jewish metrical records from 63 towns, all but three of them in the eastern part of former Galicia, now in Ukraine. Jewish vital record books can also be found in the State Archive of Ivano-Frankivsk and in the state archive of Ternopill Oblast.